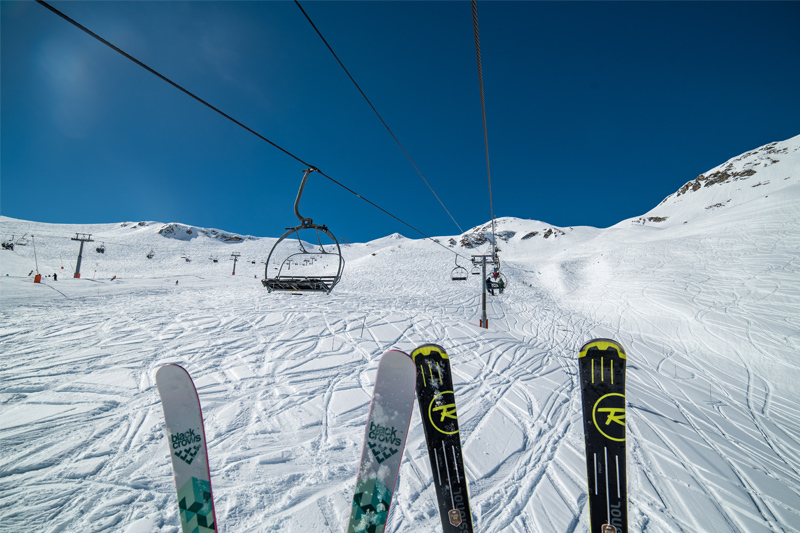 L’Espace Killy, as the combined ski area of Val d’Isere and Tignes is known, has nearly 100 high-speed lifts and over 300km of pistes, and is widely acclaimed as one of the best ski areas in Europe; indeed many supporters regard it as definitively the best. 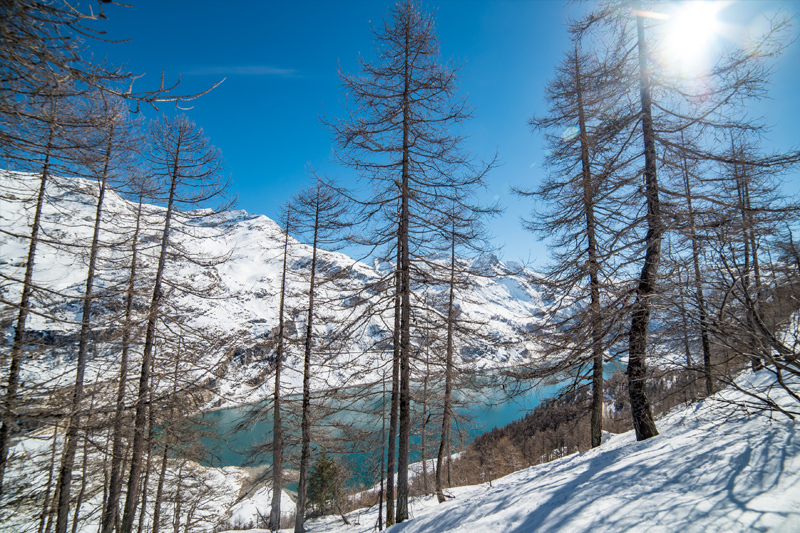 Examples of the quality of the resort is that Tignes and Val ‘dIsere hosted the Winter Olympics in 1992, regular World Cup skiing events, Extreme Ski championships; and in 2009 played host to the Winter World Alpine Championships. It is also possibly the world’s greatest year-round ski resort as the summer skiing is extensive with over 40km of runs served by 14 lifts. Incidentally, the Brévières sector provides some of the most outstanding skiing in the entire Espace Killy, and certainly the most scenic….skiing home through the trees on the last run down to the village at the end of a day is something quite special. The ski season is very long in Espace Killy with the lifts opening at the end of November and closing after the May Bank Holiday around May 6-8. Skiing down to Brevieres is very good late season due to the extensive use of snow cannons on the runs to the village as well as the north facing slopes. 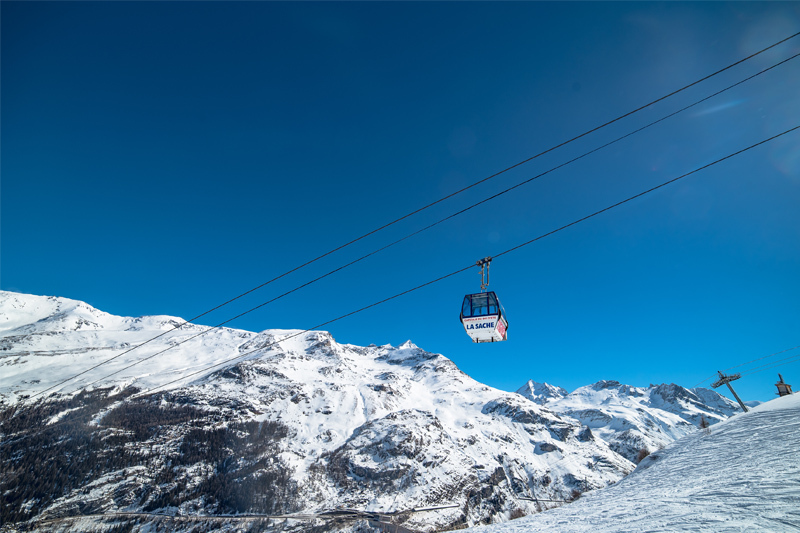 The ski lifts spreading across Val d’Isère and Tignes can now carry in the region of 150,000 skiers per hour. Second to none, with so many new high-speed lifts that you almost never have to queue. L’Espace Killy also boasts two funicular railways, which whisk you to the top of the mountain in less than six minutes. There is a high-speed 6 person chair lift linking Tignes Le Lac to the Brévières sector. These 300km of pistes in the Espace Killy are accessed by around 90 ski lifts and funicular railways to reach the glaciers. There are 22 green pistes, 61 blues, 46 reds and 25 blacks, making it popular with skiers of every level of ability. Due to its location against the peaks of the Italian border, the Espace Killy’s record of snowfall is exceptional. The skiing is varied with seemingly endless snowy motorways for intermediate cruising, while experts will find more to entertain them here than anywhere else in Europe. The maximum skiable vertical drop of 1,900m is one of the largest in the world and the height of the lowest lift at 1,550m is high enough to ensure top-to-bottom skiing during the entire season. On the rare occasions when snow is in short supply the 200+ snow cannons ensure you can ski to the villages. One of the best resorts you’ll find for the keen intermediate. Les Brévières’ local slopes are ideal intermediate terrain and the red and blue runs on the Grande Motte glacier always have superb snow. The runs down from Aiguille Percée to Tignes-les-Boisses and Tignes-les-Brévières are also scenic and enjoyable. There are red and blue options as well as the beautiful Vallon de la Sache black run…adventurous intermediates shouldn’t miss it. Experts will most appreciate what l’Espace Killy has to offer – simply because they will not run out of options as they do in lesser resorts. There are numerous black pistes with excellent mogul fields. Our favourite black run is the Sache, from Aiguille Percée down a secluded valley, right away from the lifts, with beautiful views to Tignes-les-Brévières.